Authors: Kleen, V.M., L. Cordle, and R.A. Montgomery, 2004, 459 p.
The Illinois Breeding Bird Atlas presents a comprehensive summary of information about birds that currently breed in the state, based primarily on data from the Illinois Breeding Bird Atlas Project and the North American Breeding Bird Survey, as well as the knowledge gained over many years of experience with the state’s avifauna. 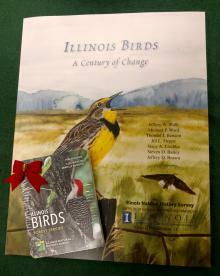 As the word “atlas” implies, the book includes maps that illustrate the distribution of breeding bird species in Illinois, but it also includes information on their ranges, abundance, habitats, life histories, historical status, and recent population trends. Canaries in the Catbird Seat:The Past, Present, and Future of Biological Resources in a Changing Environment, this publication reflects the role of scientists and biologists who serve as “environmental sensors” through observation and research, much like the historic role of the mineshaft canary in alerting miners to low oxygen levels or poisonous gases. This colloquialism applies to institutions and scientists involved in biological monitoring and research because of the perspective gained by extensive experience across many ecosystems and species groups. The book describes the INHS and its staff, who, since 1858, have had the unique and privileged position of making observations and analyzing data collected throughout Illinois, the Midwest, and beyond. The 150-year time span of their studies is perhaps unparalleled for biological monitoring agencies in the United States. In celebration of the 150th anniversary of INHS, these observations were summarized and recounted to be accessible to citizens interested in our shared natural heritage and in context with the wider scientific community. Poster set special price $5 for 2 great posters! 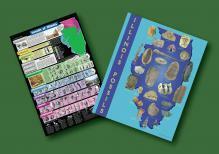 The Illinois Fossil poster set is a great addition to any fossil lover’s collection. Poster 1 has detailed drawings of common Illinois fossils by geologic period, color coded to match a geologic map of Illinois, making it easy to locate where in the state the rock of a given period is present at the surface. Poster 2 has photographs of museum-quality fossil specimens and the key on side 2 provides additional information about those specimens and answers to commonly asked questions about fossils. Posters will be rolled and shipped in a tube. Make the poster set a complete package and for $5 add a copy of the Guide for Beginning Fossil Hunters! This package makes a great gift for fossil lovers of all ages and levels. 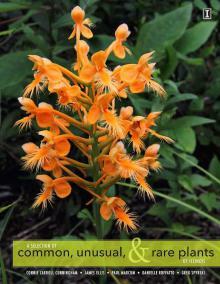 Author: Jefford, M.R., S. Post, and J. Sternberg, Poster dimensions [approx. ]: 18" × 24"
Perfect for the nature lover needing to decorate their walls. Posters will be rolled and shipped in a tube. Published in celebration of the INHS's 150th Anniversary, Biologists in the Field is a compilation of writings by past and current INHS field biologists about their adventures in fieldwork. Letters and journal entries of early INHS biologists along with stories of current biologists giving CPR to a squirrel, tracking turtles in a nudist campground, losing an entire trailer on Halloween, or encountering law enforcement officials, this collection of stories is sure to change the way you think about field biologists.